Nu 3rd Year Honours Exam Application Form Fill up Related Notice Publish. 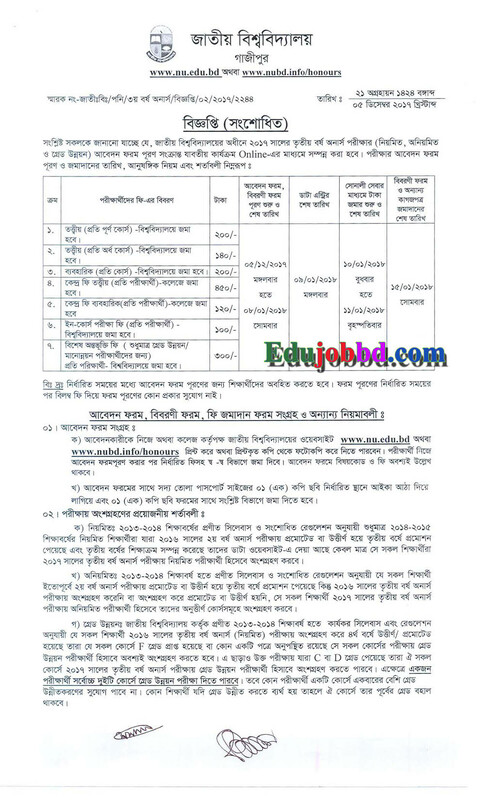 Bangladesh National University Gazipur Authority Announce That, National University Honours 3rd Year Form Fill Up Have Some Revise. See Below.